England’s ODI transformation since the nadir of the 2015 World Cup has been remarkable. From timid, low scoring and low performing cricket, to brash, powerful and victorious, it has been quite the turnaround. Jason Roy is the living embodiment of England’s philosophy, but could England find a more consistent solution? There have also been three low points in the past year. England were skittled out by South Africa at Lord’s last year, contained by Pakistan in the Champions Trophy semi-final and reduced to near tatters by Australia in Adelaide recently. These have been lows every bit as remarkable as the highs. Steve Smith, the Australia captain, has questioned whether England’s all-out attack cricket will be enough to win the World Cup in 2019. This, after all, is the focus of England’s attention and has been since 2015. So, could England adapt their game and be a bit more circumspect? Roy is a fine case in point. He is a tremendous timer of a shot and you know exactly what you are going to get from him. He will attack, attack and attack – and when he looks like he’s done attacking, he’ll simply attack some more. When it comes off, as it did in Melbourne a few weeks back, England win games. The trouble with Roy is, however, that he is more likely to get out for fewer than 10 runs (32.1% of his ODI innings) than he is to get a half century and beyond (28.3% of his innings). He has played 53 ODIs now and there hasn’t really been any progress. His sometime opening partner, Hales, is much the same. He’s played 58 ODIs now and 31.1% of his innings have endured a premature ending (something that blights his private life if some of the snapchat frames doing the rounds are to be believed) compared to the 27.6% of his innings that reach at least 50. Ideally, you’d want a bit more consistency from two of your top three. Bairstow hasn’t played the same volume of games, or with the same continuity, as Roy and Hales to merit the microscope just yet. Rohit Sharma has played 45 games, with 20 50-plus scores (44.5%) and 10 scores of fewer than 10 (22.3%). Hashim Amla has played 49 games, with 13 50-plus scores (26.6%) and 11 scores of fewer than 10 (22.5%). The point in the comparison is to show that the best players score more 50-plus innings than they do single figure ones. Of course, England’s attacking verve means that their top order will be facing increased risk of failure, evidenced by Roy’s and Hales’s higher than average failure rate. Rather than temper such an approach, however, the England management have positively embraced it. The same goes for the bowling, too. Eoin Morgan is, more often than not, willing to attack with his field placements and bowling changes. England’s middle order usually provides a sufficient safety net for the top order, too. As they demonstrated in the recently concluded series in Australia, when one section of the order fails, another will step up, right down to the tail end. Even in Adelaide, where England were reduced to 8/5, Chris Woakes was able to bat them towards respectability and England, somehow, made a game of it. The burning question, of course, is can this approach win England the World Cup trophy they so covet? The all-out attack sets an enterprising platform, but as we saw in the Champions Trophy, the months of hard work can be undone in one afternoon. Alas, such is the nature of knock-out sport. An off day could occur at any moment. A moment of misfortune, or an inspired performance from an opponent. These are all inherent risks in the format. England could opt for at least one safer pair of hands in the top three. 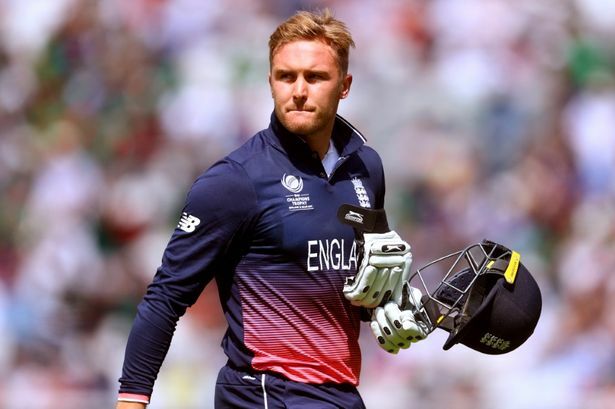 They could, for example, promote Joe Root, who has blossomed into arguably the second best ODI batsman in the world behind Virat Kohli since the World Cup. But England need his stability in the middle order. The path has been set. The personnel may change between now and the 2019 World Cup, but the approach will not. Rightly or wrongly, England have decided that all-out attack is the only way they can finally win the World Cup. England are willing to embrace the fear of failure and play the game they know will deliver them success. If it doesn’t, then history would suggest that nothing else will, either. As much exciting this style of play is, I’m afraid this is not how it works when it comes to the crucial knock-out games. I don’t think so, but yes England is one of the most popular team and tough team so having a match with England will surely boost the other Country.